First skyscraper to be built in Paris for 30 years unveiled. The US is forcedly embracing everything it loves to hate about the French system. Article on the Time. Forget Facebook's redesign, here is an issue you should be really concerned about: According to Malcolm Gluck, wine producers use "a host of additives" to disguise the flavour or inferior grapes without listing them on the labels. The list includes sugar, hydrochloric acid, yeasts and ascorbic acid (sometimes they use harmful substances to raise alcohol content and traces of fertilisers have been found in some champagnes). I am not surprised here but what bothers me is that the Wine and Spirits Trade Association is exempt from labelling rules. Their spokesperson says that "it is possible for drinkers to find out what is in their wine by talking to the maker or importer". So the next time you are in Waitrose, make sure you brush up on your French or Italian to call the maker or importer of every bottle you are considering buying, should you find their phone number. Operators are on standby to confess that they top up their wine with ethanol... This is laughable in a pathetic way. From the National Intelligence Council. Fascinating read as a glimpse into our future. Interesting article about companies setting-up dedicated websites to provide their point-of-view on rumours or perceptions relayed by bloggers. Wikia Green aims to build the best resource for citizens of the Earth to learn about the environment and how to live a more sustainable life. Commendable. If you like animation and short films, don't miss Singapore Animated at the Institute of Contemporary Art on the 25th of October. 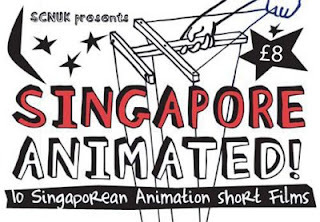 Organised by the Singapore Creative Network UK, the event is the first public screening of some of the best animations from Singapore curated by Gavin Lim, an award-winning director in the Singapore International Film Festival. The Times' science editor reports on the Large Hadron Collider that will help us understand how the Universe works while creating a blackhole that will devour Earth.